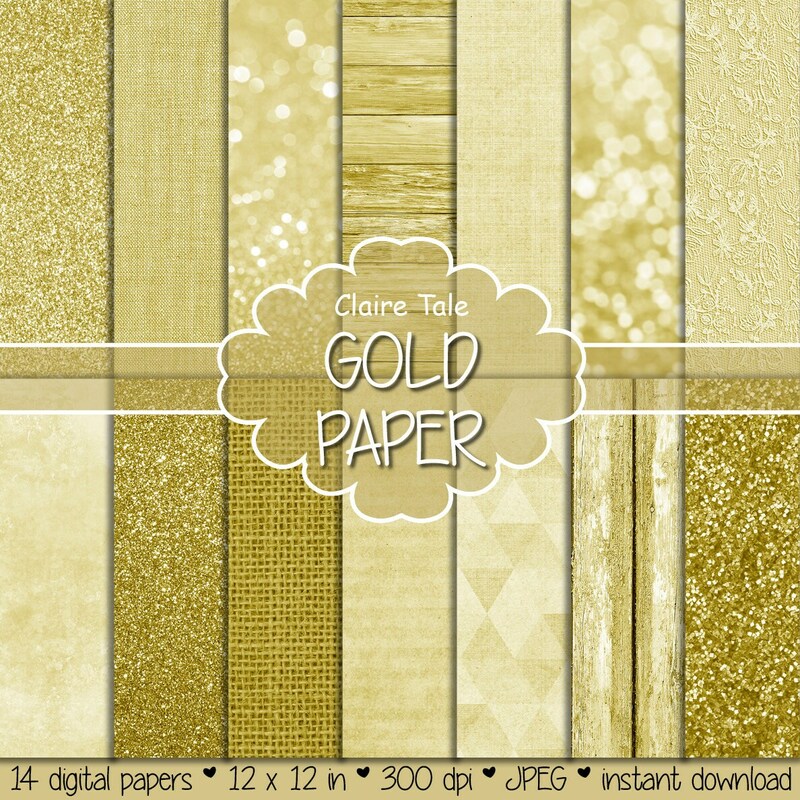 14 gold digital papers: "GOLD DIGITAL PAPER" with gold textures, gold glitter, linen, burlap, gold lace, watercolor, gold wood photo backdrop. Perfect for scrapbooking, wedding, invitations, announcements, anniversaries, birthdays, party themes, stationary and paper crafts. Ready for immediate print and digital use. These files are available for instant download. Great clip art for my collection! Love, love, love this. So many uses. Thank you.